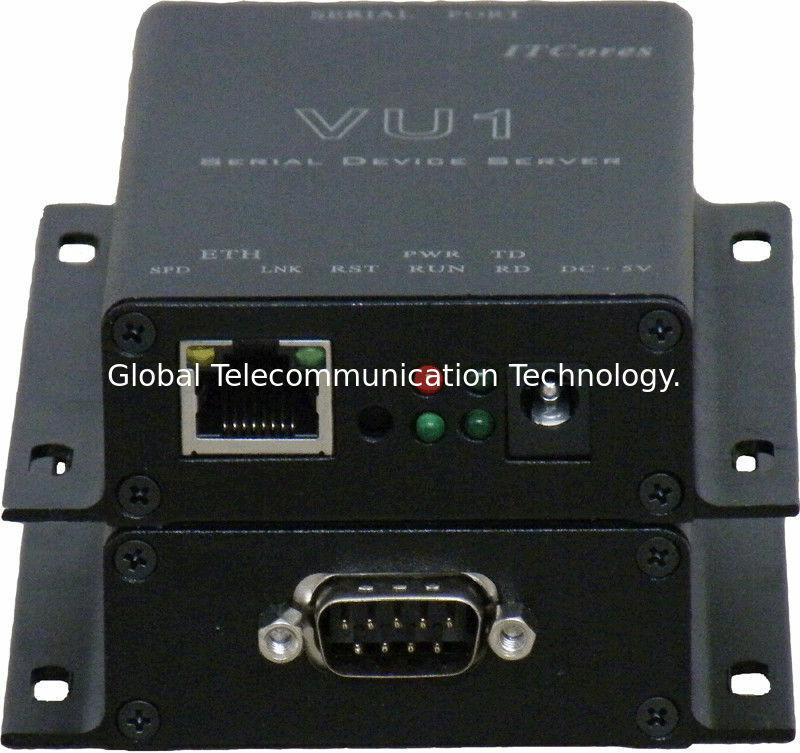 Global Tech VU Series Serial Port Server can interconnect the conventional RS232/ RS422/ RS485 serial equipment to Ethernet. The essence of GB-RxE Serial Server is micro computer, consisting of specialized CPU and TCP/IP-enabled Linux Operation System, together with powerful networking capabilities and high efficiency to process the serial interface and network data. Based on TCP/IP protocol, the serial equipments are accessible via GB-RxE Serial Port Server without any hardware restriction, such as bus, slot and port. 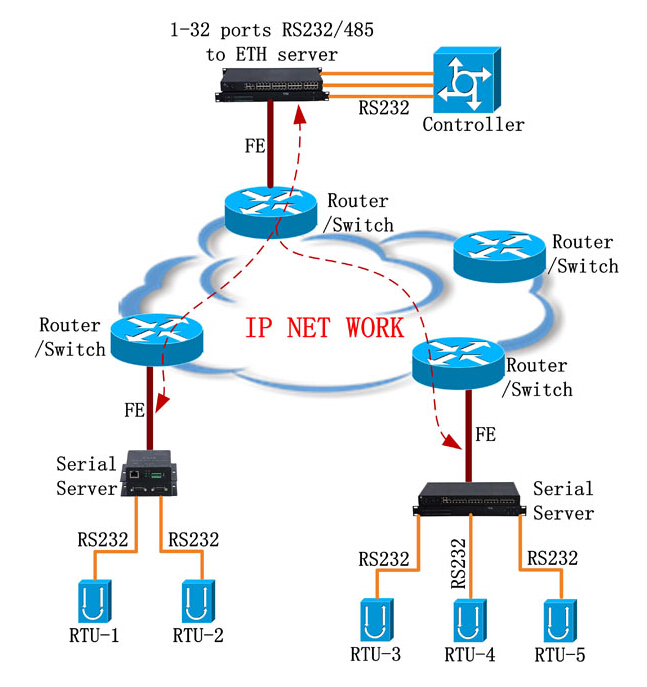 Via GB-RxE Serial Port Server, the serial equipments can interconnect with Ethernet for network extension. Global Tech VU Series supports flexible and varied serial equipments access methods, including not only Standard Win Socket and BSD Socket, as TCP Server, TCP Client and UDP, but Virtual Serial Port. All legacy serial equipments can be deployed without any surplus software modification and investment. Via VU Series Serial Server, one serial equipment is accessible simultaneously via several TCP Clients and Virtual Serial Ports, which brings a hardware resource saving and software development convenience. ●Low cost, high density, optional Desktop Standalone and 19” Rack-Mounted 1U unit. ●High performance CPU, massive capacity memory. ●Support common socket operation mode, including TCP Server, TCP Client and UDP server. ●Support Peer to Peer mode between two serial equipments without PC. ●Embed 15KV ESD protection in all signals. ●Web/ Telnet/ Console configuration available. ●Support up to 10 multi connections on one equipments serial port. ●Optional 1/4/8/16/32 RS232/ RS422/ RS485 serial port, flexible configuration. ■ Protection: All signals with 15KV surge protection.